This is the final post in the series. For several weeks we have learned how to strengthen the front lines of our mind. Now we are educated in how to wage spiritual warfare and what weapons are available to us. All we have to do is use them. The biggest obstacle in the battle we have to overcome is the give up attitude. If we are not seeing results then it is easy to get discouraged and to quit. Have you ever started a diet and quit? How about an exercise routine? Yup me too! 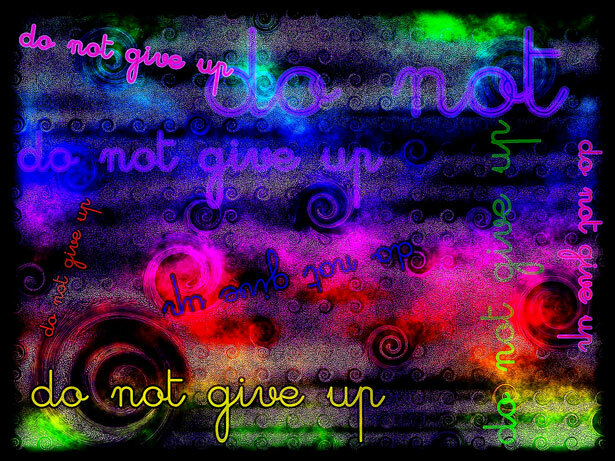 However, in this battle of life and death we cannot give up. Ask a soldier on the front lines facing terrorists today if it is okay for him to put his weapons down because the enemy hasn’t given up yet? Or the enemy can’t be seen? The enemy is not going to give up. He is never going to quit coming after you. He may back off and regroup, but He will return. Remember, we have already won. The battle we are fighting is to enforce that victory. Our position in Christ is not effected by our conditions. So we are fighting to have our minds line up with our position in Christ Jesus regardless of what our condition looks like. The battle of mind renewal is won little by little. Precept by precept. Piece of instruction by piece of instruction. We are renewed day by day. Israel built the wall around the city brick by brick. In Nehemiah, you can read about them building the wall with one hand and holding their weapon in the other. They still kept building and eventually built the wall of protection around the city. Don’t give up if you have not seen the harvest or finished product in your life. Keep planting the seeds of God’s word. If you get weary the tears you cry can water the seeds of your faith. Before long you will be rejoicing with your harvest. Notice it is the one who continues to sow seed though he weeps is the one who gets the harvest. Those who gave up due to their tears reap nothing. This series will continue to be accessible to you. Feel free to return here when you need strength for the battle. I also wanted to refer you to some references I have used to strengthen me in the battle. The links and descriptions are below. I go back and reread or listen to these as I need to. I know they will be a blessing to you. Beloved, you are more than a conqueror! If the posts in this series have been helpful to you consider blessing others by sharing with them. There are links on the page to share with social media, and you can also subscribe by email. I love to hear from you. Consider leaving a comment answering this question. When you were weary from the battle what inspired you to keep going? Breaking Free by Beth Moore. The Triumphant Church by Kenneth E. Hagin. Gregory Dickow’s Fasting From Wrong Thinking. Also there are links included in the post of this series on Prayer.